The Organizing Committee is pleased to announce that the XVII International Conference on Small-Angle Scattering (SAS-2018) will be held Sunday 7 - Friday 12 October, 2018, at Grand Traverse Resort & Spa, Traverse City, Michigan, USA. Please refer to the conference web site (https://sas2018.anl.gov) for more details and further announcements. A PDF flyer suitable for posting and distributing is available here. We look forward to welcoming you in Traverse City. The 9th canSAS (Collective Action for Nomadic Small Angle Scatterers) workshop will take place at the Lawrence Berkley National Laboratory and SLAC National Accelerator Laboratory, San Francisco, CA, USA from June 5-7, 2017. CanSAS is an ongoing activity to provide the small-angle scattering user community with shared tools and information. The SAS Commission of the IUCr eventually received three bids to host SAS-2021 from (in alphabetical order) Brazil, Korea & Taiwan. Those that registered for SAS-2009 (Oxford), SAS-2012 (Sydney) and SAS-2015 (Berlin) - and who have not changed email address in the meantime! - will receive a personalised invitation to vote for their preferred candidate bid from Dr Daniel Clemens of the HZB, local organiser of SAS-2015, around December 7, 2016. The electronic poll closes at 13:00 CET on December 21, 2016. The location of the XVIII Conference on Small-Angle Scattering, SAS-2021, was not decided at SAS-2015 in Berlin as no formal (complete) bids had been received in time. Accordingly, the SAS Commission of the IUCr has decided to EXTEND THE SUBMISSION DEADLINE to 1 February 2016. After 1 February 2016, information on the bids received will be made available to subscribers to the IUCr sa_scat email list, along with details of how to vote on a preferred location. The organisers are keen to receive suggestions for scientific sessions under the general theme of the conference: 'Energy, Environment & Health'. The SAS2015 Organizing Committee and the International Union of Crystallography (IUCr) Commission on Small-angle Scattering will present a prize of US$5000 in honour of the great scientist and 'father' of small-angle scattering Professor A. Guinier at SAS2015. The Guinier prize is given for lifetime achievement, a major breakthrough or an outstanding contribution to the field of small-angle scattering. 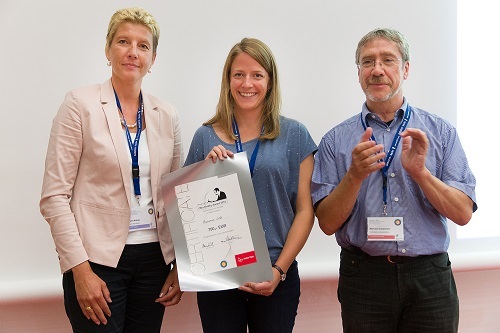 Nominations should be sent by e-mail by April 30, 2015 with the subject heading "Guinier Prize" to: Chair of the SAS2015 Programme Committee, Peter Fratzl (Peter.Fratzl@mpikg.mpg.de) and Chair of the IUCr SAS Commission, Jill Trewhella (jill.trewhella@sydney.edu.au). The prize jury will be composed of 5 members, 2 representatives each from the SAS-2015 Organizing/Programme Committee and of the IUCr SAS commission. 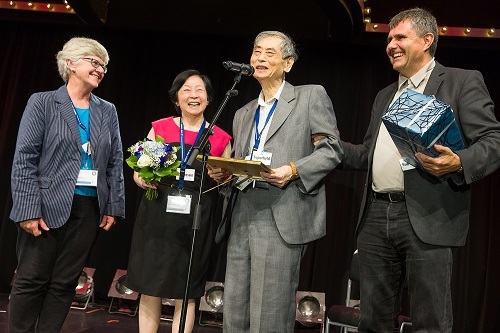 The winner of the 2015 Guinier prize will be announced at the opening session of SAS2015 and invited to present a plenary lecture of SAS2015 conference in Berlin. The Commission on Small-Angle Scattering of the International Union of Crystallography (http://www.iucr.org/iucr/commissions/small-angle-scattering) hereby solicits applications from scientific institutions to host a forthcoming International Small-Angle Scattering Conference in 2021. Those who wish to organize the SAS2021 conference are kindly asked to submit a bid through the link on the SAS2015 website http://www.helmholtz-berlin.de/events/sas/bid Criteria for the bid document may be found below. After the deadline all bids will be made available online for viewing and discussion by the Community. Discussion through the SAS listserver will also be possible. Further discussion will then take place at the SAS2015 Conference, followed by a public vote of the registered participants. This discussion and the results of the vote will be taken as a recommendation to an evaluation board, which will award the conference. • three members of the IUCr SAS Commission. Those interested in submitting bids are invited to post them as soon as possible, but not later than midnight, July 1st, 2015, Greenwich Mean Time. The Commission hopes that this procedure will ensure long-term planning of the conferences, taking into account geographical balance, whilst at the same time being open, thorough and fair. In this connection, all are reminded that SAS2006 took place in Kyoto, Japan, SAS2009 took place in Oxford, UK, SAS2012 took place in Sydney, Australia, SAS2015 will be in Berlin, Germany, and SAS2018 will be at the Grand Traverse Resort and Spa on the Shores of Lake Michigan, USA. Please bear with us whilst we try and recover some of our web pages. We were unfortunately hacked in late November. At the 13th Executive Committee Meeting of the Asia-Oceania Neutron Scattering Association, held in Serpong, Indonesia on October 16, 2014, it was announced that the recipient of the 2015 AONSA Prize is Prof John White of the Australian National University, and a former Director of the ILL (1981-1982). The citation reads 'For his seminal contributions to the use of neutrons in understanding molecules at interfaces, molecular crystals and self-assembly, for his visionary leadership in establishing the Asia-Oceania neutron scattering community and state-of-the-art neutron facilities including OPAL, and for his devoted mentoring of young scientists'. Otto Glatter is awarded the medal for his lifelong contributions to the development of scattering techniques and their application to colloidal systems. The selection committee for the 2013 Walter Hälg Prize is delighted to announce that the winner of the 2013 Walter Hälg prize is Professor Joe Zaccai. 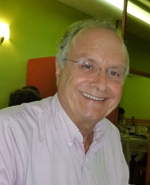 The committee has awarded Prof. Joe Zaccai the prize in recognition of his pioneering contributions to the application of neutron scattering to a range of biophysical and biochemical problems in biology, which has provided important insights in the debate on the relationship between molecular structure and dynamics and biological function, and for his leading advocacy of the role of neutron scattering in biological research. For more information please see http://www.unizar.es/ensa/index.php/news/152-the-winner-of-the-2013-walter-haelg-prize-is-announced. The Society of Chemical Industry and the Royal Society of Chemistry have jointly awarded their 2013 Rideal Lectureship to Professor Jeff Penfold of the STFC ISIS Pulsed Neutron & Muon Source and Oxford University. The Rideal Lectureship commemerates the great English physical chemist, Sir Eric Rideal FRS, whose work had such impact on the fields of electrochemistry, chemical kinetics, catalysis, electrophoresis, colloids and surface chemistry. Jeff’s work has been highlighted because of his major scientific contributions to surfactant, colloid and interface science. He and John Hayter were the first people to formulate a strategy and the necessary analytical methods for the quantitative interpretation of neutron small angle scattering data from micellar solutions (indeed these methods are still the main ones used today). Second, with colleagues at Unilever plc, Jeff has pioneered the development of shear-flow methods in conjunction with small angle scattering. 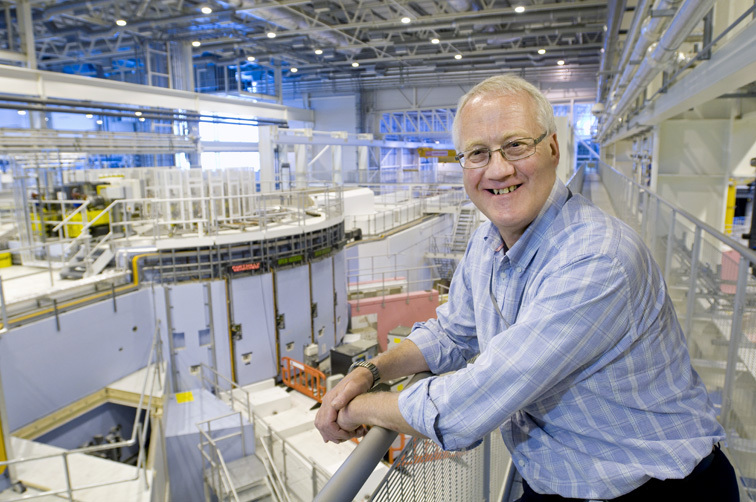 And thirdly, Jeff has played a major role in both the instrumental and methodological development of neutron reflectometry, now widely used for studying interfaces of all kinds. (2) the work of the Protein Data Bank Small-Angle Scattering Task Force (PDB-SAStf) that has been charged with considering whether solution scattering-based bio-molecular models should be archived. At the panel discussion, it was agreed that a web page would be established to enable submissions from the community on these issues for consideration in the further development and communication of the guidelines. The PDB-SAStf home page (http://sas.wwpdb.org/) now includes a link (SAS2012 Report) to a summary of the panel discussion, including the presentations made, as well as a link to what will become the discussion archive (Discussion List Archive) and where instructions on how to make a submission may be found. 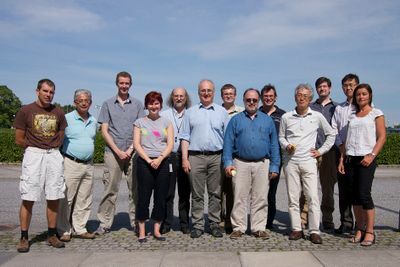 Interested members of the small-angle scattering community are encouraged to review the current state of the draft guidelines and to contribute comments. As the community of structural biologists using small-angle solution scattering continues to expand, community engagement in guiding publication practices will ensure that results can be evaluated by reviewers and readers alike and promote confidence in the valuable contributions these studies can make. 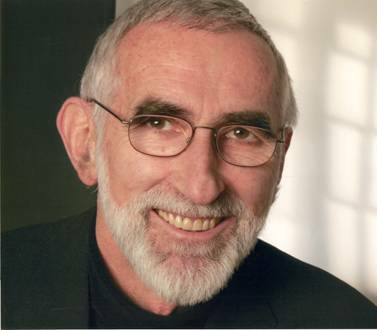 The 2012 Guinier Prize for Lifetime Achievement in Small-Angle Scattering is awarded to Professor Otto Glatter of the University of Graz, Austria: for his dedicated development, application, propagation and dissemination of small-angle X-ray, light and neutron scattering methods over more than 40 years; for his pioneering work on the development of the indirect Fourier Transform method and its application to solve practical problems in real materials across many fields, especially in polymer science, soft matter and nanoparticle systems, and its extension to concentrated systems; and for his universally recognized service in building up the international small-angle scattering community through teaching and training, software development and publication, development of instrumentation, and the writing of a widely used teaching text. The aim of this workshop is to work on specific matters important to the canSAS community as decided in previous conference calls. The three main themes are: data format, standardisation and development of this portal. The canSAS VIIIworkshop will be held in Tokai Japan at JPARC April 14-16 . The aim of this workshop is to provide a forum for sas users and providers to come together to discuss common needs and issues, to learn from each others experiences, discuss current best practices, hear about emerging techniques, and when possible to identify areas where the field/state of the art could be improved by bringing together the people that are interested and able to work cooperatively to solve the problem. Since the goal of the workshop is to foster discussion and collaborations on issues affecting the global sas community (nomadic scatterers) besides participating in the discussion sessions, please consider submitting a poster. Posters are excellent ways to provide basic information that can then be used to seed or enhance discussions. The 16th International Conference on Small-Angle Scattering will be held in Berlin, 13 - 18 September, 2015. For more information see the conference website. Particle and Particle Systems Characterisation: Small-Angle Scattering (SAS) Applications is the title of a new book by Wilfried Gille due to be published by CRC Press at the end of November. Aimed at students and experts alike, it incorporates an exercise chapter and Mathematica programs. For further details, see http://www.crcpress.com/product/isbn/9781466581777. Use the discount code EZL19 to save 20%. FibreFix is a well-established software package for the processing of fibre diffraction (and similarly oriented) data. It provides a platform integrating several programs. Two new versions of the package have just been released, one for Windows 7 and higher operating systems (fixing a legacy issue with Microsoft .NET Framework 1 in the original XP version), and another coded in Java (which it is hoped will facilitate future integration into ImageJ). To download the new versions, please visit the Software page. Proceedings of the 15th International Small-Angle Scattering Conference, Sydney, Australia, 18-23 November 2012, editors Duncan J. McGillivray, Jill Trewhella, Elliot P. Gilbert and Tracey L. Hanley, ANSTO, ISBN 1 921268 15 8 (2012). SAS-2015 will be held in Berlin, Germany. SAS-2018 will be held in Traverse City, Michigan, USA. On 3 July 2012 the 66th General Assembly of the United Nations adopted a resolution to make 2014 the International Year of Crystallography (IYCr 2014), marking 100 years since the award of the Nobel Prize to Max von Laue. Small-angle scatterers around the world are encouraged to promote the contribution of their technique to the determination of (macro-)molecular level structure. Protein from Moringa seeds can be used to purify water with natural materials. SANS and USANS measurements show how the process can be optimised. Bristol University team dissolve iron in liquid surfactant to create a soap that can be controlled by magnets. The discovery, published in Angewandte Chemie, could be used to create cleaning products that can be removed after application and used in the recovery of oil spills at sea. Researchers at Monash University have used x-ray beams created by the Australian Synchrotron (AS) to discover how enzymes work to dissolve blood clots and clean up damaged tissue in the body - a finding that could ultimately lead to a reduction in the number of heart disease-related deaths occurring each year as a result of blood clots. Available employment opportunities within the scattering community and at light sources. This site also has a compilation of opportunities in small-angle scattering.